Lemony Snicket had an unusual education and a perplexing youth and now endures a despondent adulthood. His previous published works include the thirteen volumes in A Series of Unfortunate Events, The Composer is Dead, and 13 Words. Seth has portrayed suspicious circumstances and shady characters in much of his work. He is a multi-award-winning cartoonist, author, and artist, whose works include Palookaville, Clyde Fans, and The Great Northern Brotherhood of Canadian Cartoonists. 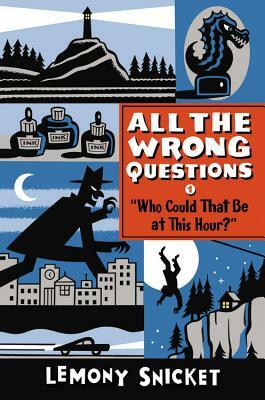 * "Full of Snicket's characteristic wit and word play . . . this book belongs in all collections."